Marketable title is one that is free from encumbrances or reasonable doubt as to its validity. But what does THAT mean? First, encumbrances are legal or physical restrictions that affect the property owner’s use of the property. For example, a recorded mortgage gives notice to the world that a bank holds a financial interest in the property, which prevents further financing or sale without the bank’s permission. Driveway easements, building setbacks, and, in New York City, the dreaded “One Dollar Condemnation Clause”, are all examples of encumbrances that place specific requirements on the property and cannot be removed easily (if at all). Other encumbrances may only appear on a boundary survey of the property (like a 6-foot-tall deer fence) or in an environmental study. 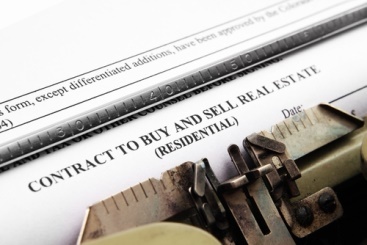 Secondly, in order for title to a property to be marketable, there must be no reasonable doubt as to its validity. Things that can cast doubt as to the validity of title include a break in the chain of title (as when a prior owner mysteriously disappears from the list of grantors and grantees), possible outstanding heirship or tax issues after an estate has conveyed title, or the mention of an unrecorded lease in a prior deed. So what does happen when the title insurance company’s report reveals that title is indeed unmarketable? As you can imagine, this happens fairly often since many property owners have mortgages, many cities and towns have restrictions on residential and commercial construction, and fences are rarely built exactly on boundary lines. What happens is that the parties then turn to the title insurance company to issue insurable title. Insurable title is “one which a reasonably prudent title insurance company would be willing to insure, free from exceptions (other than those normally excluded by the policy form) and at normal title insurance rates.” (James M. Pedowitz, “Marketable Titles” in Real Estate Titles, 2nd Edition, 1998, page 24-21) Simply put, insurable title is title that a reputable title company is willing to insure. The decision to insure is made after the marketability issues have been examined by underwriting attorneys, and the issues have either been resolved or deemed to be at a acceptably low risk of turning into claims in the future. Issues that are easily resolved include paying off mortgages or judgments at closing, and reviewing estate files to ensure that all heirs have been accounted for and estate taxes paid. However, other issues cannot be cured and instead have to be assessed for the level of risk they pose. Title companies use several different methods in order to assess risk. In New York title insurance matters, all of the major underwriters have signed a “mutual indemnification agreement” which allows many incurable risks to be insured over again and again based on the current NY title company’s reliance on the prior title company’s clean owner’s policy. Finally, there are some items affecting marketability that title companies just cannot insure over, like the easements and condemnation clauses mentioned above. These remain as exceptions in the title policy and the title company will not accept a claim for compensation if the city fines you for building over a setback line or your neighbor sues you for violating your shared driveway easement. This may sound alarming, but these issues are what Mr. Pedowitz referred to above as “exceptions…normally excluded by the policy form…” They are commonly excepted from title policies, because the larger issues that they address (over-building/overcrowding, harmonious use of space, land conservation, municipal utilities maintenance, etc.) will remain necessary to address far into the future.